Thanks to advancements in medical technology, seniors are living longer than ever. In many cases, they maintain a high level of physical activity while retaining their mental alertness. 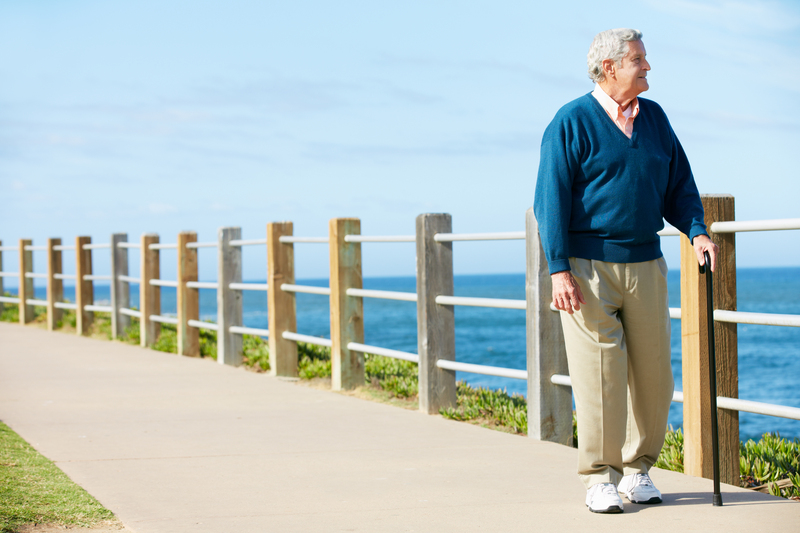 Unfortunately, for some seniors, physical infirmities come with a longer lifespan. As the reality of health emergencies and physical limitations sets in, seniors begin to experience a natural fear of losing their sense of independence. Would a medical alert system help? Can it delay the need to relocate into an assisted living situation or hire a live-in helper? Can the installation of a simple emergency help button help seniors to maintain their sense of independence and personal dignity? Despite people’s best efforts, they often experience a loss of agility and dexterity as the body ages. Physical frailties and the limitations of fragile bones result in people becoming less able to care for themselves. The fear of losing one’s balance, falling, and breaking a hip or an arm is enough to prevent seniors from enjoying life as much as they possibly can. Understanding that they are no longer as agile as they once were, many seniors begin to think about entering an assisted living program that would help to monitor their needs. Bones become more brittle, and the risk of falling becomes a dangerous situation that has the potential to be fatal. Arranging for a medical alert system can help to prevent and delay the need for assisted living, simply because it provides immediate access to help. Depending on the system that has been installed, emergency services might be called in, a friend or neighbor might receive a phone call, or a loved one might be contacted. As a result, the individual is no longer alone and helpless. With the simple push of an emergency help button, help is on its way. While a fall might lead to the need for medical care and a hospital stay, this health emergency doesn’t have to be the end of the world. While falling is one of the biggest threats to a senior’s sense of independence, it doesn’t have to be that way. Falling is inconvenient, and it can be painful. However, the risk of falling doesn’t have to curtail an individual’s active lifestyle. This danger doesn’t need to prevent anyone from completing household chores, doing light exercise, or taking a short walk around their home. Life alarm services are designed to assist emergency personnel in locating and identifying the individual who is in distress. It provides greater reliability than a cell phone since the individual doesn’t need to stay alert in order for emergency personnel to find them. If and when a health emergency arises, a medical alert system is designed to provide assistance as quickly as possible. It can resolve a life-and-death situation in a positive manner, saving an individual’s life or preventing a more serious situation from occurring.